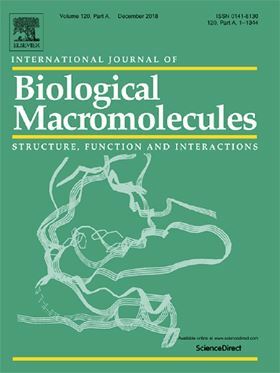 The research article 'Overview of wastewater treatment methods with special focus on biopolymer chitin-chitosan' has been published in Elsevier's International Journal of Biological Macromolecules (Volume 121, January 2019, Pages 1086-1100). Heavy metals have substantively high values of half-lives with nonbiodegradable chemical nature. At the same time, their ionic compounds have amazing ability of ionization in aqueous media. Remediation of such metals from wastewaters has been very complex, expensive and a challenging goal for ages. Severalmethods have been employed to segregate heavy metals and their corresponding anions, and organic contents from wastewaters in industries. In this review, a comparative analysis of various technologies is summarized with their working principle, advantages, and limitations followed by special focus on biosorption. Chitosan, chitin, and their derivatives are significantly important for their excessive availability, cost effectiveness, environment friendliness and biodegradability characteristics. Electrostatic Interactions (EIs) are extremely important in biosorption phenomenon which have been overlooked by researchers in available literature of chitin and chitosan-facilitated biosorption. Therefore, this review covers such an important gap and special focus was given exclusively to thematic concepts of EIs, chemical potential, spatial charge distribution and its movement along the electrical double layer and corresponding zeta potential in aqueous solution of biopolymer with impurities. Surface chemistry and binding mechanism of metal ions and other charged impurities with biopolymer surface is target of this review.